After the recent US presidential election, of whom has no interest or belief in climate change, I can’t help but feel as though the impacts of climate change need to be drilled into our heads, just a little bit more. Everyone has issues they need to deal with, I totally understand. Not everyone wants to spend their life worrying about what might happen in the future, and would much prefer to live with the ‘take life as it comes’ kind of mentality. I wish I was the same. But unfortunately for me, the facts are so obvious; they’re thrown into my face with which I can’t help but fear for our future. As a very young adult, I don’t want to see this world crumble away under the hands of man, especially when the scientific proof was – and is – always there. It really puzzles me that majority of the population with so much control, continuously choose to ignore it. The average person on this planet has no interest in the issue. It’s so utterly clear, especially when the topic comes up and the immediate response is ‘I don’t care’. I could go on and on and on about what climate change is doing to our planet. But instead, I’m going to tell you how it’s going to affect you. The person sitting in their home on the internet reading this blog post. You may not think this issue is going to affect you, your life or your families life. But I’m here to regrettably inform you that you’re wrong. As much as I would love to tell you that this is just a false assumption or fabrication, it’s not. 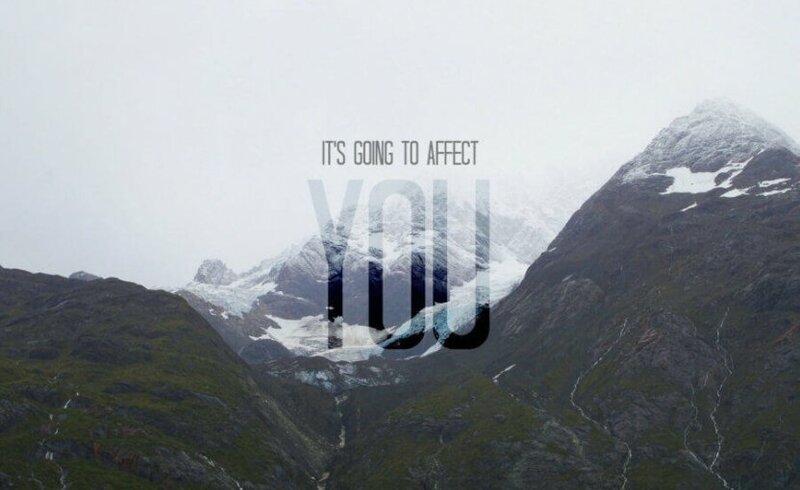 I’ve seen it, it’s here and it’s happening.. And this is how it’s going to affect you. Do you suffer from hay fever? Prepare to suffer a little more. For the millions and millions of you that suffer from terrible hay fever every spring and summer; itchy eyes, sneezing, runny nose and a scratchy throat.. you’re going to be dealing with this on a whole new level. As the global temperate rises as incredible rates – 2015 was the hottest year on record – extended seasons will occur, the growth of certain plants and weeds will increase and pollen production will blossom out of control. The warmer temperatures and constant increase in co2 are the ideal conditions for weeds, grasses and allergenic plants. Keep your hanky handy. It’s not gonna get any better. Sick of the 40°c summers? They’re just going to get hotter. This is pretty obvious I know, but this is also the impact that the average person doesn’t get worried about. Here in Australia, temperatures of around 40°c (104°F) are completely normal during the summer months. In recent years the minimum temperatures have increased over 1°c, with maximums increasing up to 0.8°c. It may not seem like much of an issue, but this is exactly what climate change is. Man is overheating the earth; the tiniest increase in temperatures have already created so much destruction that we constantly choose to dis-associate with global warming, but that’s really all it is. I’m personally sick of not being able to go outside during summer without burning, sweating and overheating in the first 2 minutes. And don’t forget, you’re going to be paying much more on your electricity bills to run those air-cons. It’s just going to keep getting hotter and hotter. Do you have a favourite beach? It’s probably going to be gone. As the temperatures continue to soar, the glaciers will continue to melt and the sea levels will continue to rise. Within the next 10-50 years, coastal towns around the world will literally disappear. Sand on some of the most popular beaches around the world are washing away as the tide comes in and pulls it all out. They are predicted to recede hundreds and hundreds of metres over the next century. Water will completely submerge the sand and the beaches will basically be gone; we will be to blame. Ever had Cholera or Dengue Fever? You’ll be at high risk. Here’s an issue I’m sure you never thought about associating with climate change. If your country were to flood and contaminate clean drinking water, the chances of contracting waterborne diseases are incredibly high. Not to mention that the water will be hot, making it the perfect breeding ground for diseases such as Dengue and Malaria, which they predict to spread further around the world as the temperatures rise. Weather events are one of the major reasons that water-borne and infectious diseases will spread. Being cautious of a deadly disease is something you don’t want to have to worry about in your – or your families – future. These diseases are extremely devastating in Asian and African countries, imagine if they come to our westernised homes too. Have you experienced a drought, fire or flood? You will. Increase in c02, methane and other greenhouse gases, are heating up our earth, warming our atmosphere, our oceans and our planet. With that comes extreme weather patterns that we are already continuously experiencing. El Niños, droughts, hurricanes, fires and floods. You’ve all seen them. There is no other explanation for this other than an overcooked earth. Over the last couple of months, the world has experienced extreme rainfall. Everywhere from North America, Australia, Africa and Asia have seen a dramatic increase in precipitation. This is due to warmer weather heating up our oceans, causing the water to evaporate and fall from our sky. You, your children and your grandchildren may have to live with the fact that one minute there might be a flood, the next there might be a fire. It puts our lives at risk, our environment at risk and our planet at even more risk. Extreme weather conditions are destructive, you don’t want to get caught up in them one day. Do you have a favourite food? It’s going to cost you double the price. Extreme droughts and rainfall are inevitably going to affect the production of some of the most popular crops. Lengthened seasons and high heat are very disruptive to produce. As things start to get bad – which they will – farmers will have to relocate, crops will die and those organic crops that you know and love will slowly fade away. Prices will skyrocket to unbelievable highs, and you will slowly but surely be spending double the amount at your weekly food shop. Already sick of the Climate Change news talk? It’s just going to keep on coming. As annoying as it may already be, if we continue to let this issue slip through our fingers, imagine the chaos when it gets out of hand. If it isn’t tackled now, you’ll quickly realise that all the “nonsense” was true. The world will fire up beneath our feet and we will be passed the point of return. That won’t be fun and I’m sure you’ll be wishing you listened to the signs when they were thrown at your face. This beautiful planet is going to suffer if we continue to believe that climate change is nothing but a falsification. Especially if the most powerful country in the world is lead by some that ignore the signs too. Let’s stop being ignorant – it’s going to affect everyone. Think about the future generations; your children, your grandchildren and your great-grandchildren. Do you really want them to live in a world that you let fall apart? Do you really want them to live on a planet that has no hope?